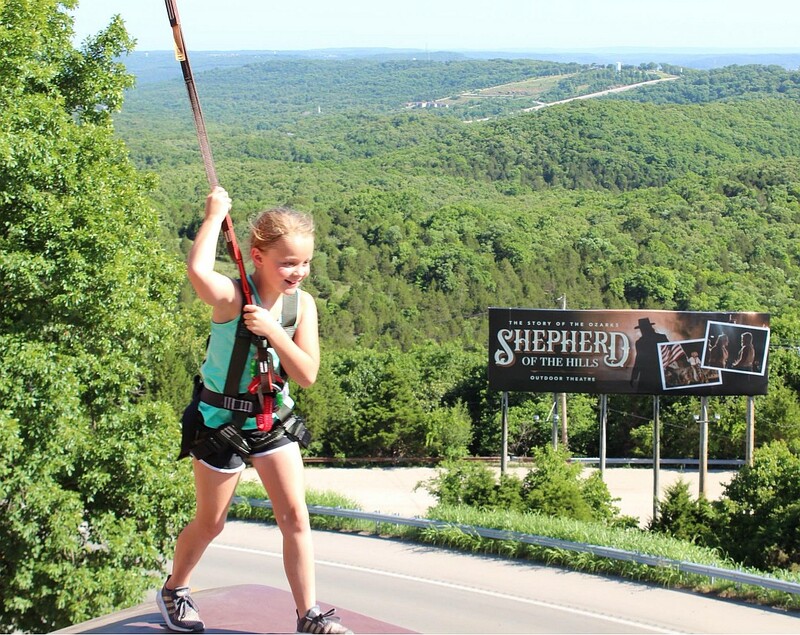 Experience the best ropes course in Branson at the all-new Shepherd of the Hills Adventure Park! 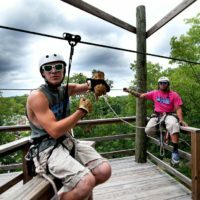 Ropes Course at Shepherd of the Hills! 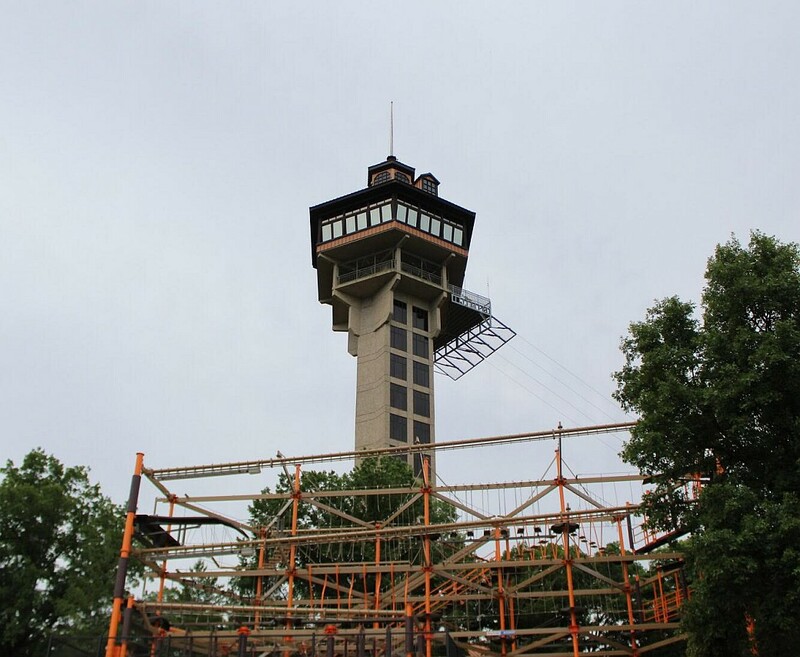 The Ultimate Branson Ropes Course! 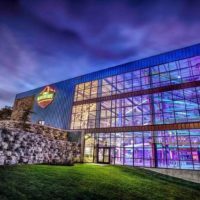 2 Courses For All Ages! 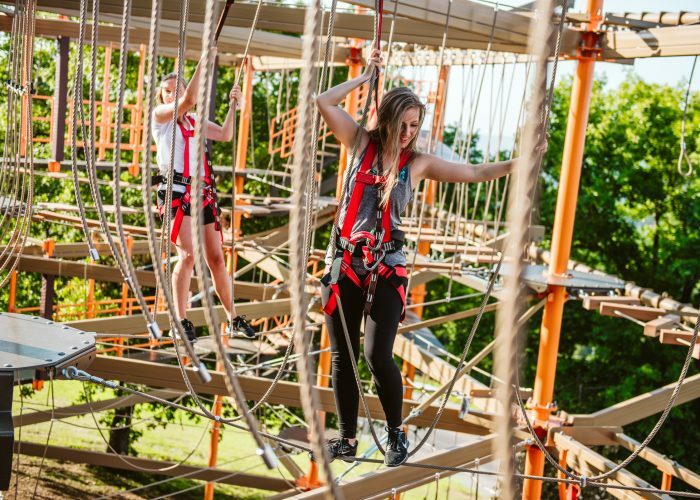 Booking tip: Ropes Course at Shepherd of the Hills is very popular, advance reservations are recommended! Towering over the Ozark Mountains and forests you will find one of Branson’s best ropes courses, and one of the area’s newest attractions! 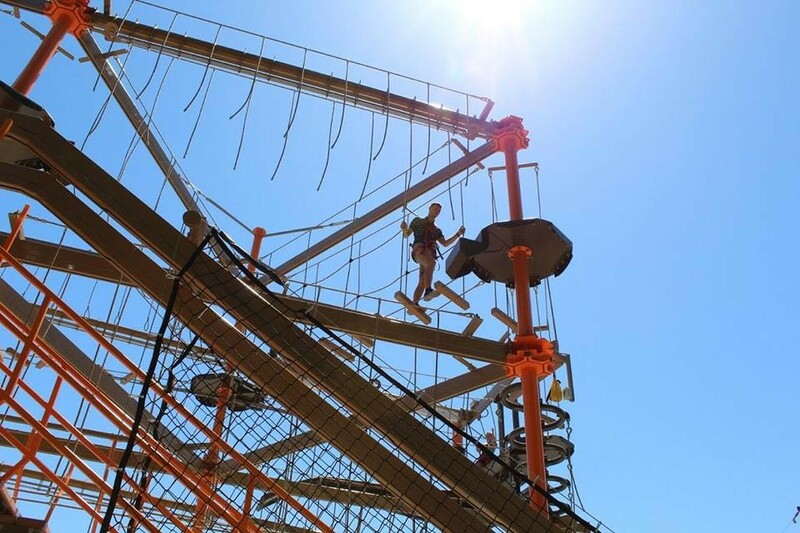 Prepare for an adventure you won’t ever forget! 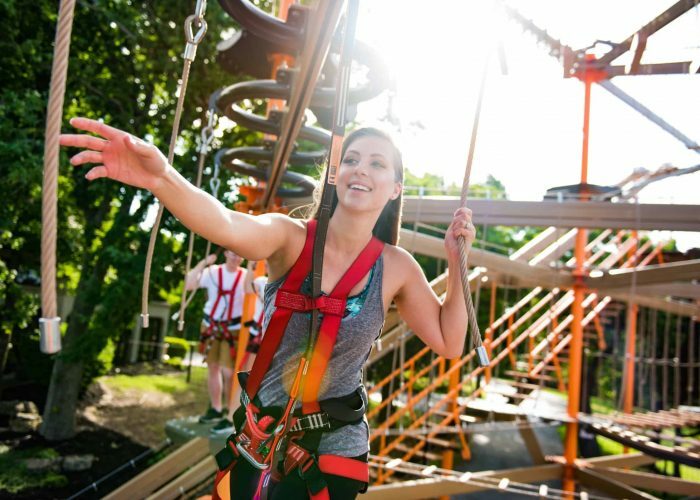 Twist, turn, balance, and zip among the specially-designed ropes course – which offers a fun and exciting alternative (or complement) to the area’s many ziplines! 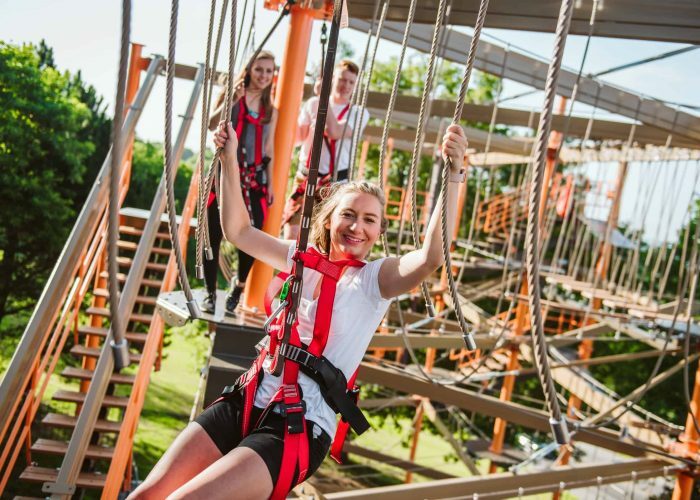 The unique location provides the perfect setting for a fun adventure that all ages can enjoy! 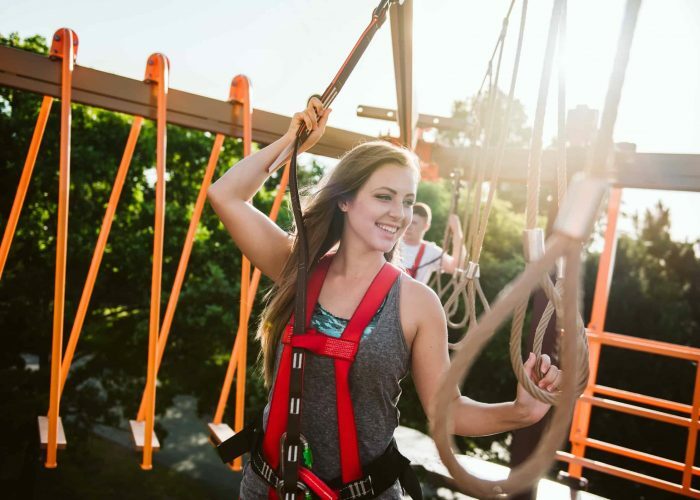 Located at the all-new Shepherd of the Hills Adventure Park, the Ropes Course brings a new attraction to Branson at one of the area’s most historic and legendary landmarks – the famous Shepherd of the Hills Homestead! 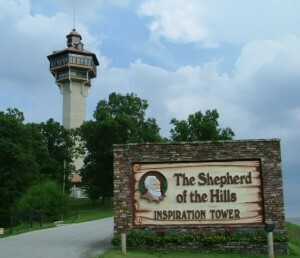 The ropes course sits alongside the iconic Shepherd of the Hills Inspiration Tower, which overlooks the beautiful mountains and forests of the Ozarks! 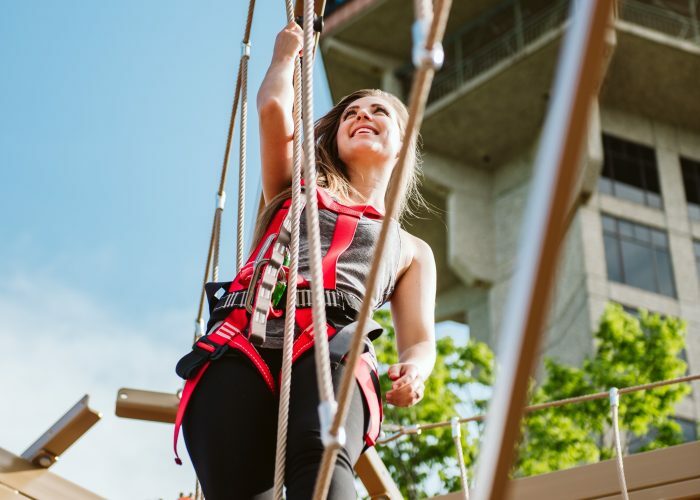 Your journey begins as you are safely and securely strapped into a custom-fitted harness that is attached via a cable to the structure at all times. 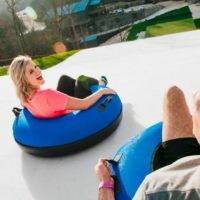 This safety measure ensures complete safety while you are twisting, navigating, traversing, and exploring the many different routes and challenges you’ll encounter on the course. 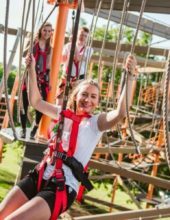 2 Courses – Designed for All Ages! 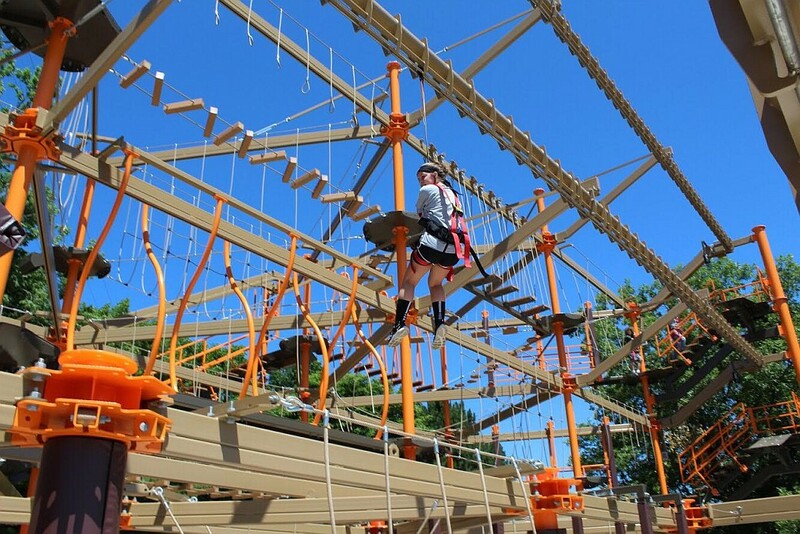 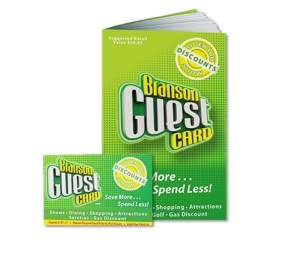 The attraction offers two different courses for guests, the regular ropes course for visitors 48″ or taller as well as a “Little Tykes” course that is available for guests under 48″ to experience! 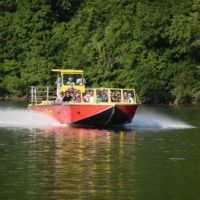 It’s a true family adventure! 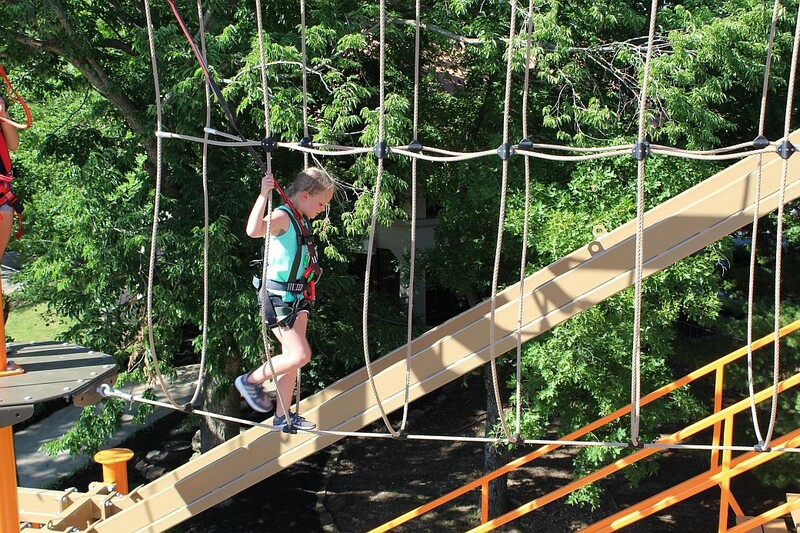 For the younger kids traveling, an adult may accompany them as they meander through the course!